Fisher Mall's Anniversary SALE happens from January 26-29, 2017. Get up to 80% off on selected items from participating stores mallwide! 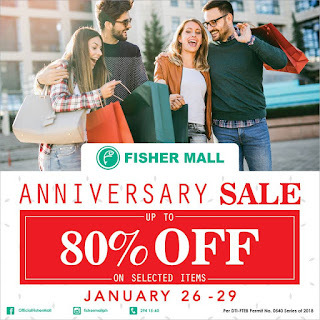 Check out also Fisher Department Store's 4th Anniversary Blowout SALE happening on January 26-31, 2018. 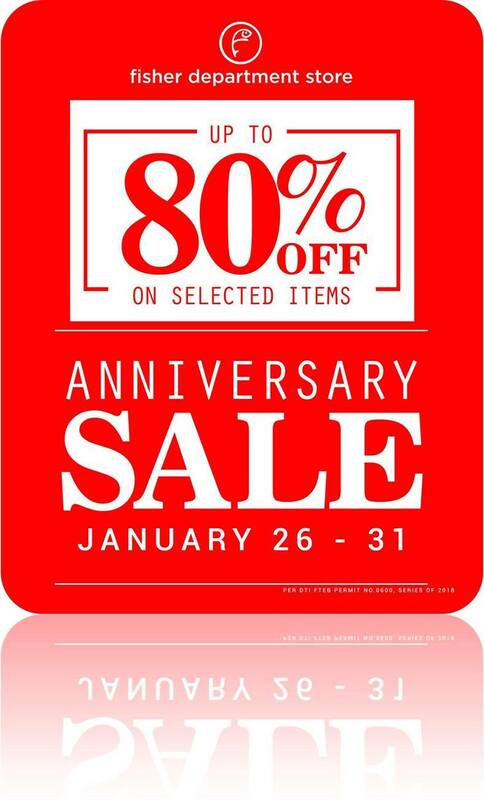 Get amazing discounts of up to 80% on great selections on Men's, Ladies', Children's and Home Department storewide.